Pantone has released its prediction for the home trends of 2018. Once just the go-to source for color trends, Pantone has since branched out to home décor. #1 on its list is Geometric Patterns. This trend was included on a few lists for 2017 and it appears Pantone expects it to spread in 2018. 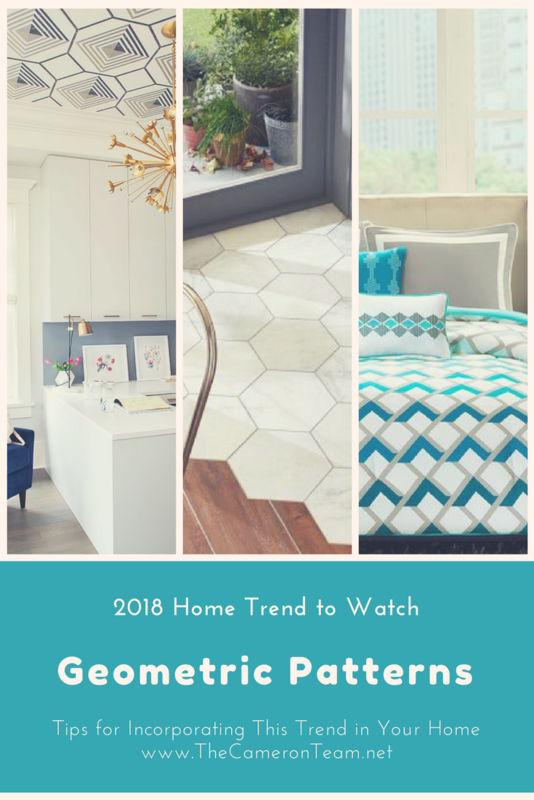 For fun, we decided to gather some of our favorite examples of geometric patterns in home décor. Take a look, get inspired, and feel free to check out the source sites for more interior design fun. Perhaps one of the most common ways to include the geometric look in your home is in your tile choices. 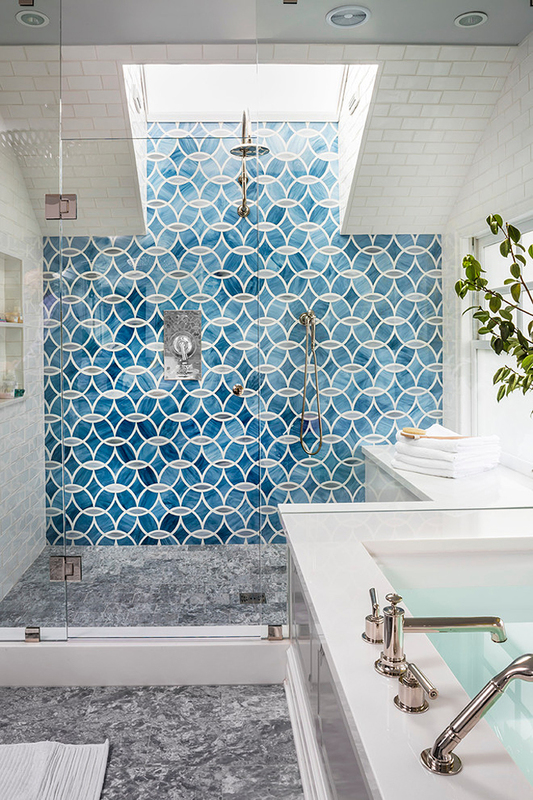 This beautiful blue master walk-in shower designed by Massucco Warner Miller Interior Design is a great example of that. The bold blue is sure to be popular for anyone going for an ocean-inspired theme. 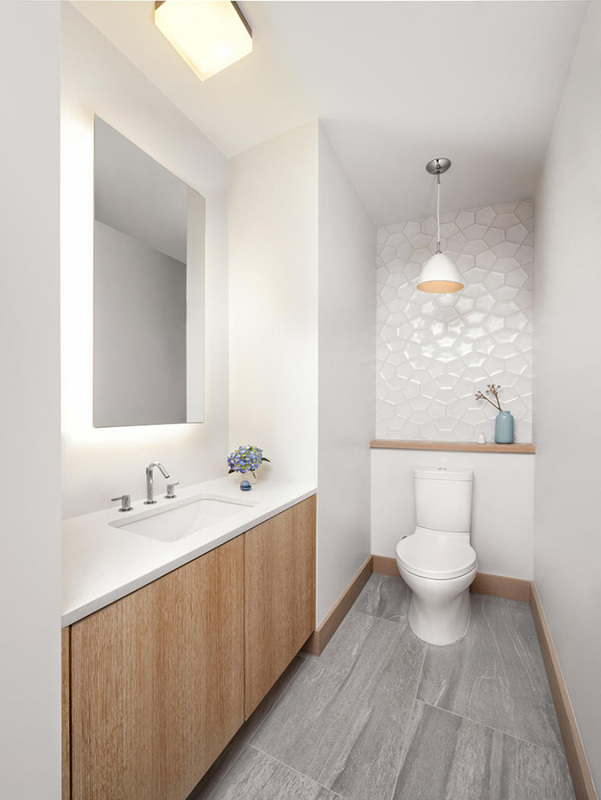 If you’re looking for something more subtle, these bathroom tiles from a Lake Tahoe home designed by sagemodern are exactly what you need. The solid color helps them blend in with the rest of the design while still adding geometric lines to the room. Of course, geometric tiles also look great in the kitchen. 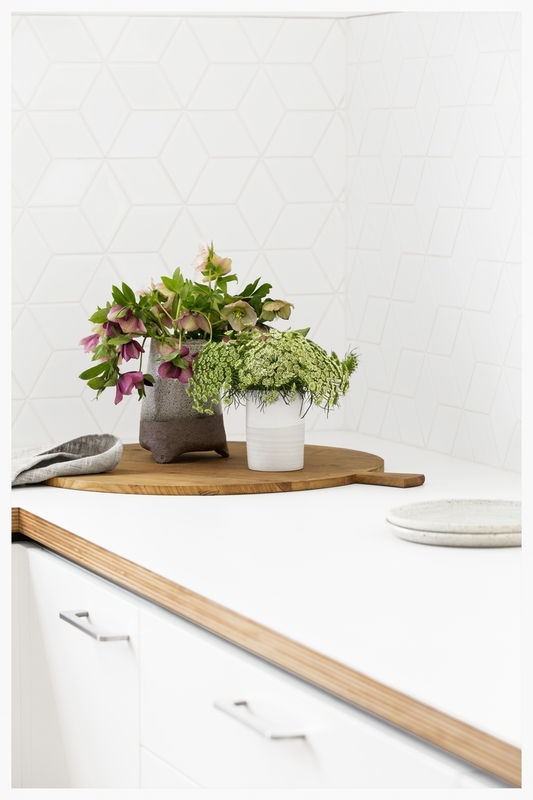 This white geometric tile used by Cantilever Interiors in their minimalistic kitchen is a wonderful alternative for subway tile. 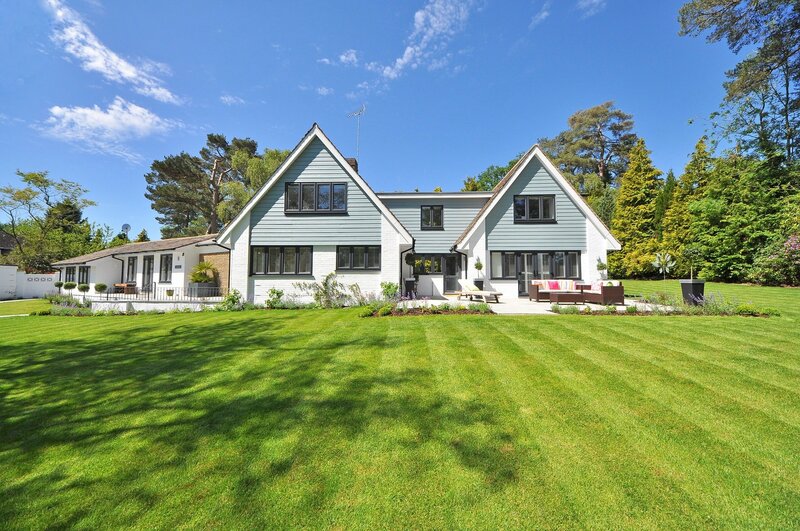 Plus, white is very popular among today’s home buyers. Want something really unique? Try mixing materials. 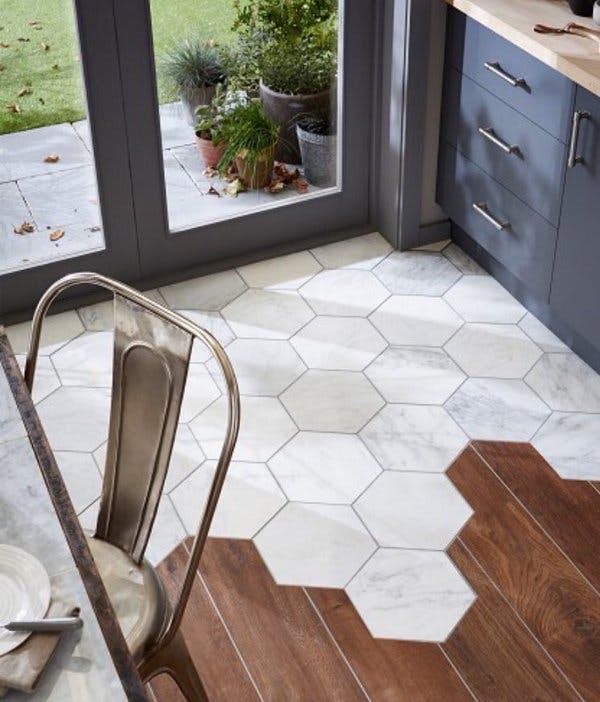 Topps Tiles combined their polished hexagon tiles with hardwood flooring to create this exceptional transition from an entrance to a dining/kitchen area. Another way to create a bold statement with geometric patterns is through wallpaper. 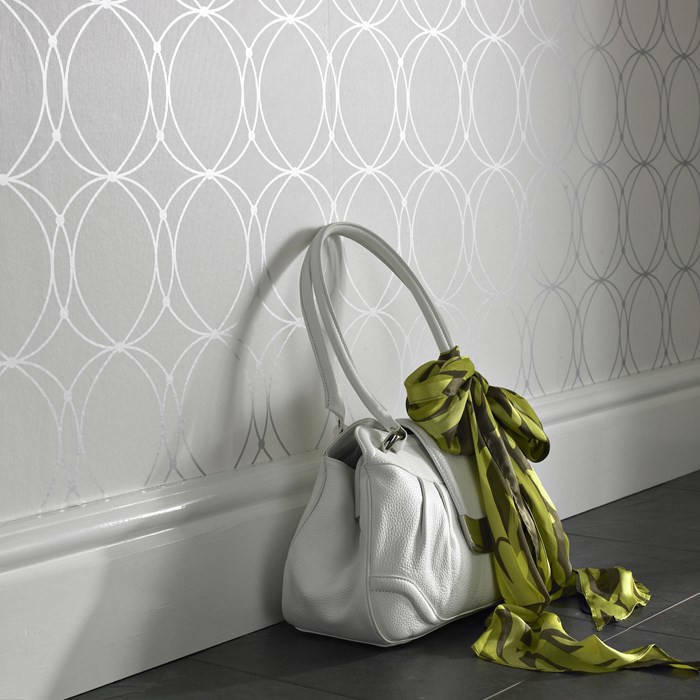 This circular geometric design from Darcy Pearl is very classy looking with just a touch of shine to add some glam to the room. It’s understated enough to use on an accent wall or across the whole room, and this color scheme has been very popular in bathrooms. Not afraid of some color? Looking for something funky? 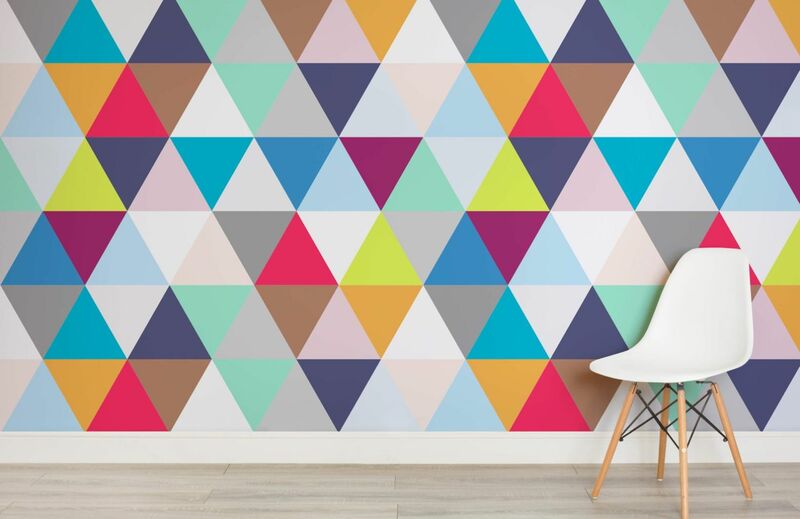 This multicolored triangle print wallpaper from Murals Wallpaper. looks great as a statement wall and could be a fun option for a teen or tween bedroom. Murals Wallpaper. 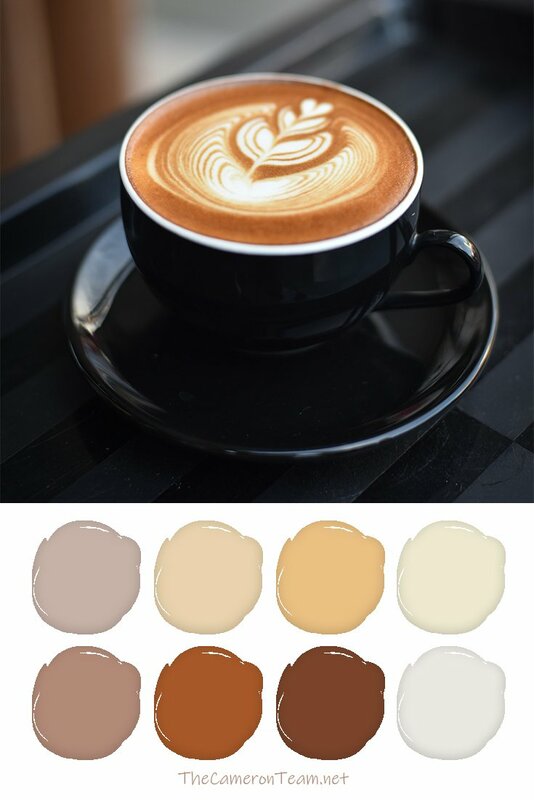 even lets you choose the colors and size to get the perfect color scheme at the scale you desire. Don’t forget, wallpaper isn’t just for walls. It can be a great choice for ceilings, as well. 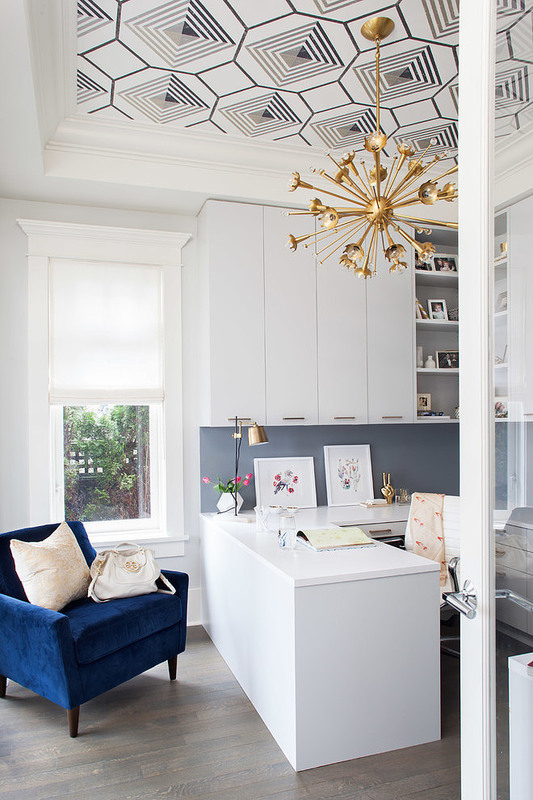 Interior Designer Kelly Deck demonstrates this with a geometric print statement ceiling in this home office in Vancouver, Canada. 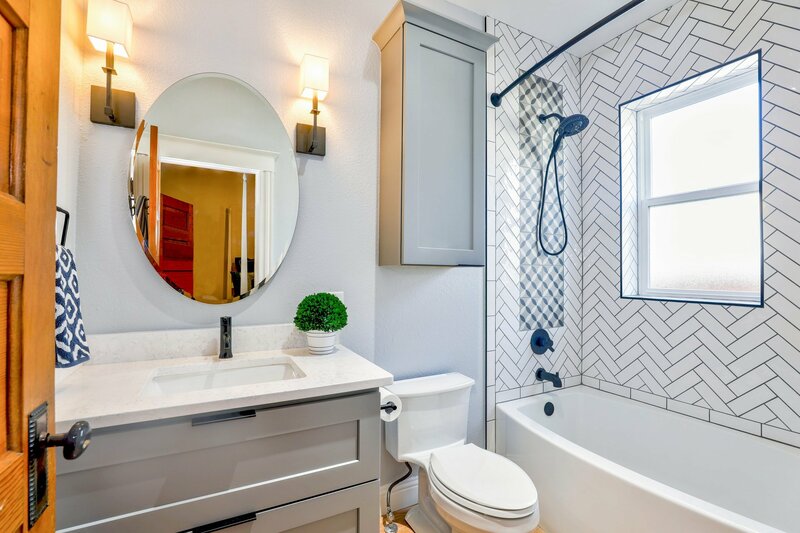 As quickly as home trends change, it can be hard to commit to something as permanent as tile or wallpaper. If you want to give the geometric look a try, we have a few décor examples that can be changed out in little time – like wall art. 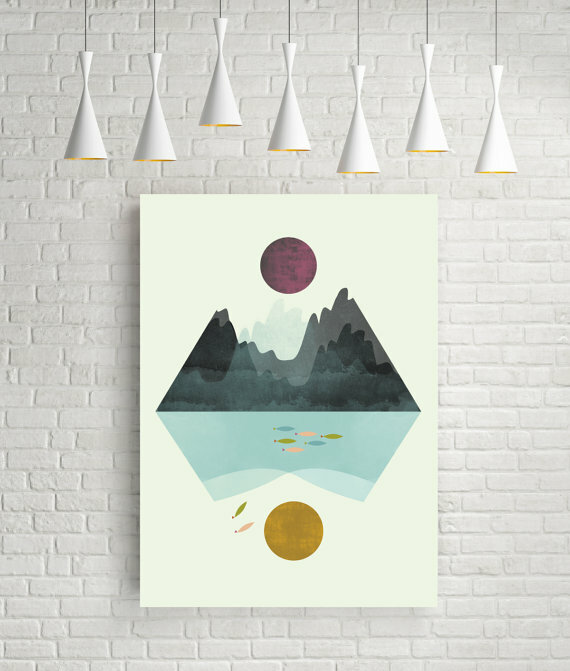 Wall art is easy to replace and there are some great colorful options for you to choose from. 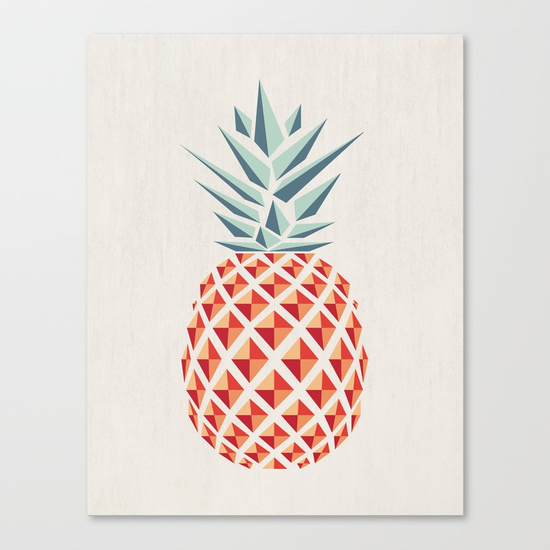 For example, this pineapple canvas print. Or this geometric landscape from Flatowl, which has the lines required for a geometric motif, but also has an earthy theme. 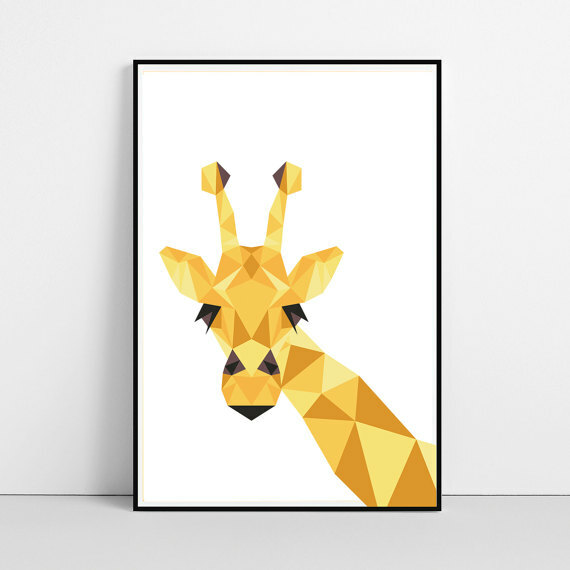 Etsy is a great place to find geometric wall art in all prints and sizes, like this giraffe from BeguimaStudio, the perfect addition to a zoo-themed nursery. Floating shelves are another example of geometric home décor that isn’t permanent. 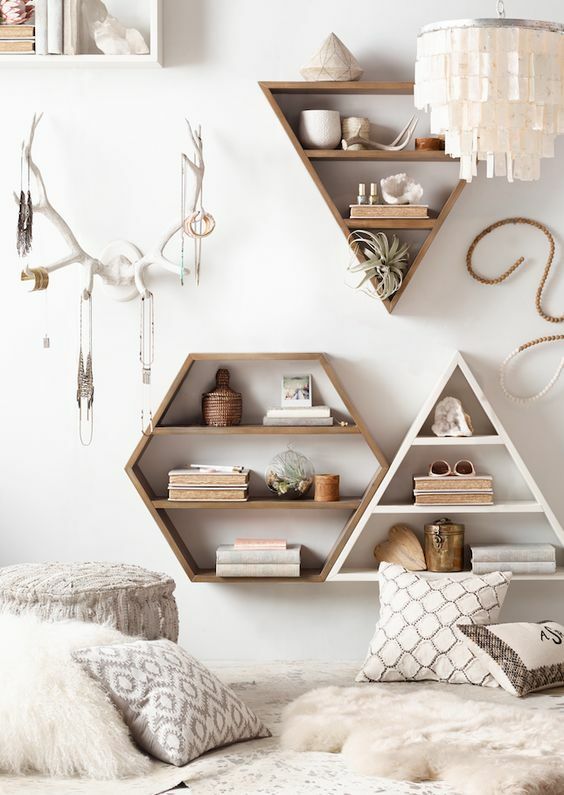 These geometric shelves from RH Teen look great together or alone. The unfinished wood look is popular today, but these types of floating shelves can be found in a wide range of materials, including wire. Fabric home décor is the perfect way to add a touch of geometric design to a room. There’s such a large market that you can find prints in practically every color and pattern. If you’re really trendy, you could buy them in one of 2018’s predicted color schemes. If you want to give it a try, we suggest starting with your throw pillows. 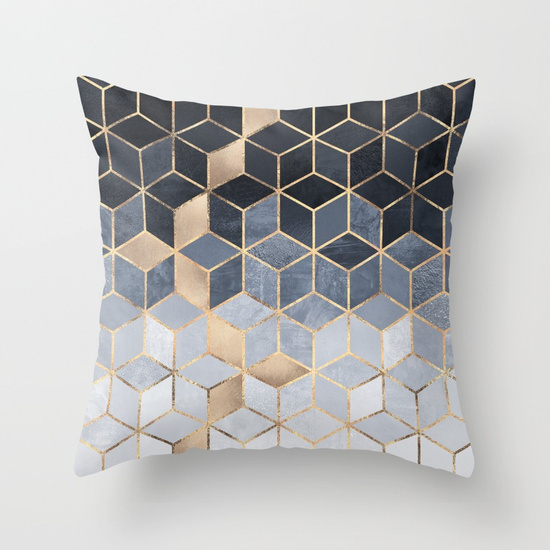 There are so many fun designs and the fact you’re supposed to replace your throw pillows every 18-36 months is reason enough to try something new. You can even add a little sparkle to your home if you choose something like this metallic blue cube print by Elisabeth Fredriksson on Society 6. 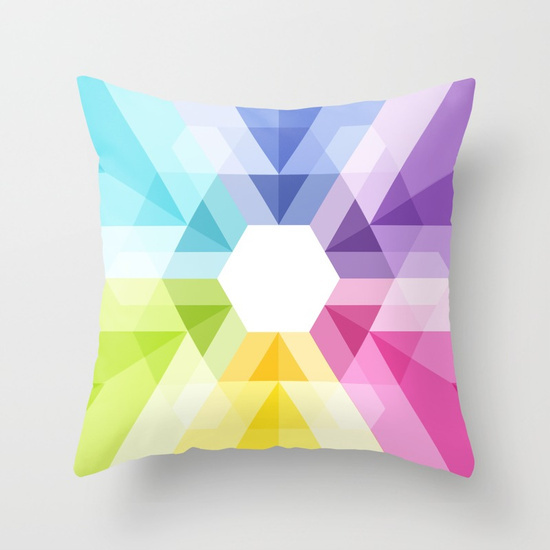 The geometric throw pillow covers from Maps Of Imaginary Places are also a great way to add color to a room. It’s hard not to look at them and feel happy. Bedding is another place to incorporate geometric fabric. This vibrant blue print from Zipcode Design is a showstopper. It brightens up the room, but isn’t too busy. 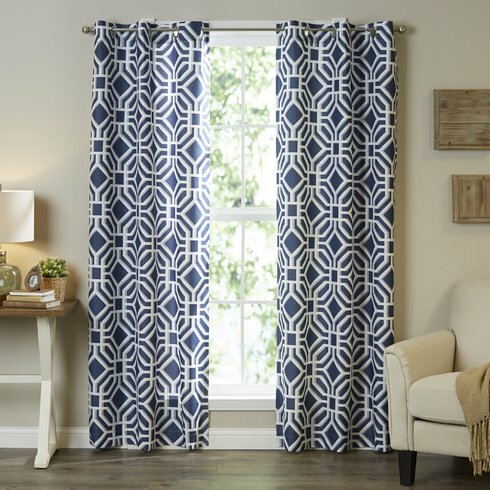 A geometric print on curtains can be exactly what a room needs to liven it up. The key to making them work is keeping the walls and furniture solid colors. An excellent example of this is this picture of semi-sheer geometric royal blue curtains from Beachcrest Home. For an alternative approach, accent pieces can also have geometric features. Use them instead of or along with other geometric elements. They look great on a shelf or coffee table. For example, this geometric Oaxaca Lantern is perfect for the indoors or out. 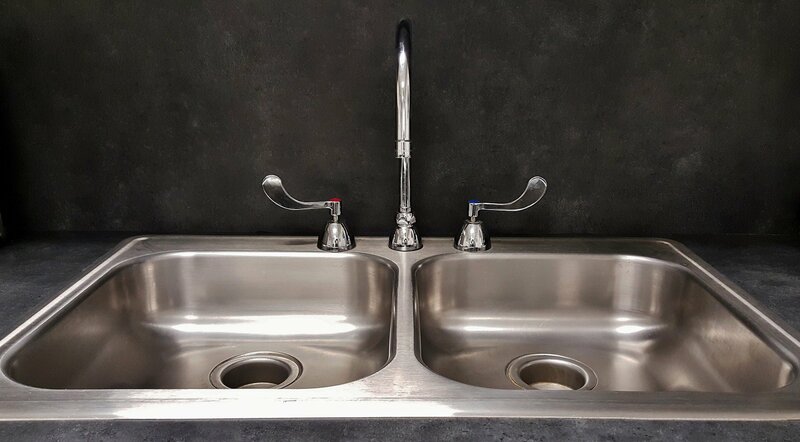 It’s edgy looking, but also provides a bit of light. 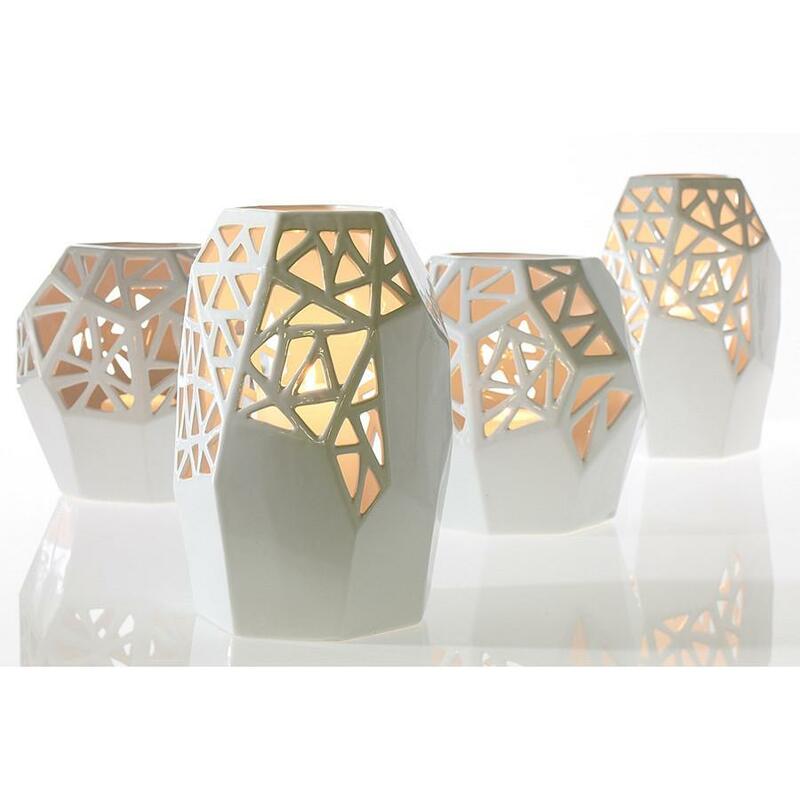 It’s attractive standing alone or clustered with other lanterns and is made of porcelain. 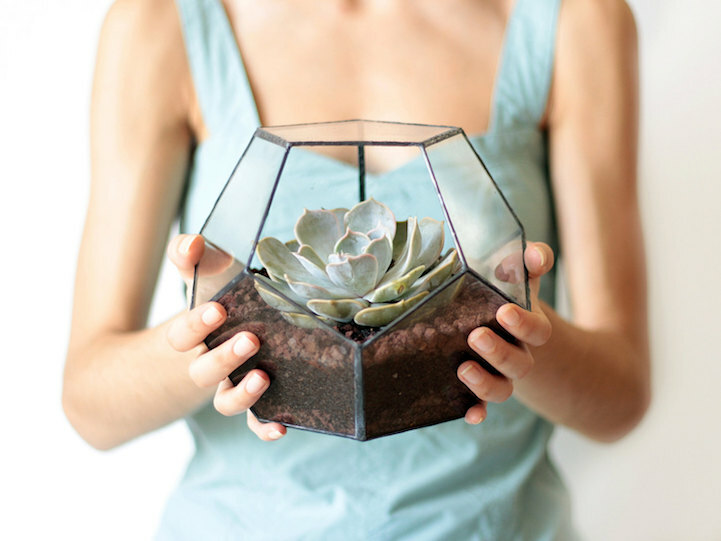 Geometric glass planters have been all over the craft stores this year. This line from Waen is excellent for terrariums. Including a succulent or two will warm up a room’s décor. They can also be used to display collectibles or hold potpourri. 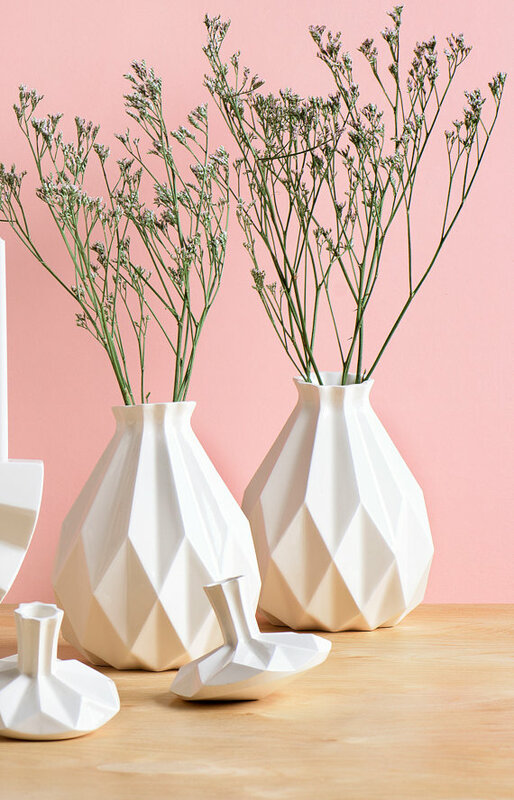 These white geometric ceramic vases from StudioArmadillo are a bold statement. They’re handmade in Israel and also come in a variety of colors and sizes. These are just a few examples of how geometric patterns can be included in your home décor. While they are a fun motif, geometric patterns should be used sparingly. Too many can create a visual cluster that’s too much for the eyes to take in. Do you have a favorite geometric product or design idea? Share it in the comments!